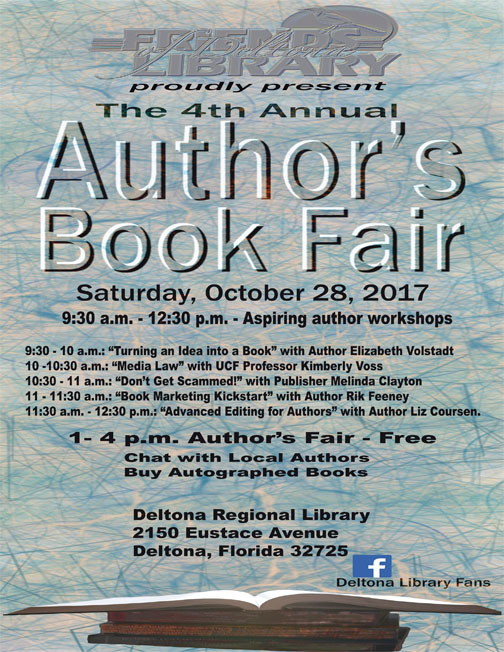 More than fifty authors will take part in a free book fair Saturday, Oct. 28, at the Deltona Regional Library, 2150 Eustace Ave., Deltona, 32725. 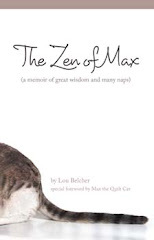 The authors represent a wide range of genres including children’s literature, Florida and American history, mysteries, spirituality, memoirs, poetry, and health. The public can meet the authors and buy signed books from 1 to 4 p.m.
Workshops are free to the public and aspiring writers and students are encouraged to attend. Friends of Deltona Library, a non-profit organization, is sponsoring the event. All proceeds will go towards purchasing items for the library. For more information, call Christy Jefferson at 386-218-4087.